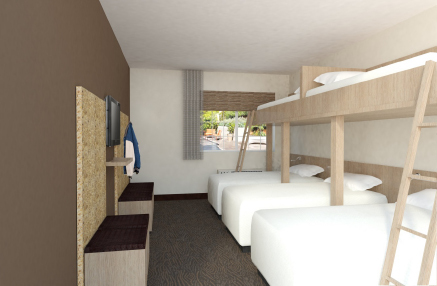 MESQUITE, Nev. — A new kind of hotel is rising in the desert of Mesquite, Nevada, one that will help define the area as a go-to destination for youth competitive sports and specialized training. Part elite training facility, part vacation destination, The Rising Star Sports Ranch Resort, set to open in December, is being built on the idea that parents and coaches can help their children pursue their athletic dreams without wholly sacrificing their own time and sanity. Over the past 10 years, Mesquite has rebranded itself as a resort lifestyle and sports destination building a fine collection of sports facilities, including the Mesquite Sports and Events Complex, a five full-length fields sporting center that can accommodate a variety of sports. The city now hosts thousands of teams annually who come for the high-quality facilities and nearly year-round playing weather; and within easy access of it all will be the Rising Star Sports Ranch Resort. The proximity of the resort to the playing fields is just one of the many conveniences offered which will make the sports travel experience more rewarding for the kids, the coaches and especially the parents. “We started looking at what that travel sports experience was like with a hotelier’s eye,” Carrier said. We have kind of taken the most noble part of parenting which is this service to your child, this selfless service to your child, and said ‘this is what we must endure in order to give our child what they need.’ We must endure sitting endlessly on a sideline with the only access to food being what we’ve packed in our coolers and what can fit in a snack bag. We must never leave our post in case the most significant accomplishment of our child’s life were to occur in the moments where we looked away from the field … to endure this passage of parenting where we present our child with the opportunities to explore their athletic prowess. The Rising Star Sports Ranch Resort aims to eliminate the hassles and give both children and parents or players and coaches a place to enjoy the time they spend on the fields and off. 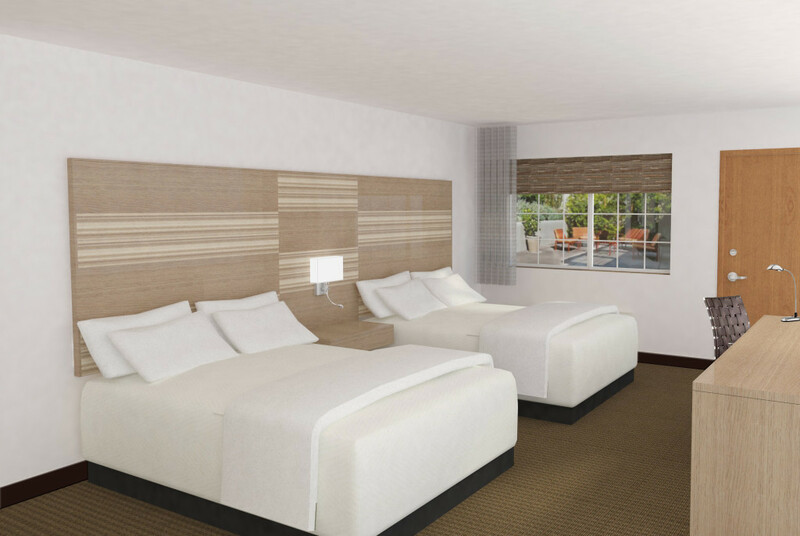 The resort will feature 210 rooms uniquely designed to make traveling with a family or a sports team as convenient as possible. Bunk rooms can accommodate up to 12 players with adjoining rooms for coaches or parents which allow for appropriate supervision. Other rooms will provide space for teams to gather with white boards for team meetings, televisions, bean bags and other amenities that make team bonding a special and fun time. The unique rooms and access to some of the areas best sports facilities will also make the Rising Star Sports Ranch Resort an ideal place to host training camps and the resort will work with elite athletes and top coaches to bring the best sports training available to the area. A full-service restaurant will be located on property which will be equipped to feed hungry teams in outdoor and indoor dining areas as well as at awards banquets in the 7,000-plus-square-foot meeting space. With seven golf courses all within 10 minutes distance, the resort will also be able to accommodate the many golfers who come to enjoy Mesquite’s greens. 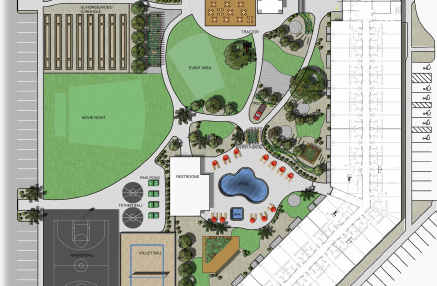 The social centerpiece of the ranch will be “The Backyard,” a park-like area in the center of the resort towers. Basketball courts, volleyball courts, horseshoe pits, tetherball courts, picnic tables, barbecue grills and the resort’s swimming pool will create an all-encompassing meeting place for athletes and families to unwind, a resort press release said. “We only have 52 weekends in a year to make memories with our kids,” Carrier said, adding that the resort will not only be a place where star athletes are born but where families and teams can build great memories together.